Remember those days in school when you used to cram in whole books the night before the test? Did you remember afterwards even a wee bit of what you gobbled up within the space of a few hours? You didn't because you had to cram in the same chapters again when the next test was around. On the other hand, you still remember the multiplication tables that you learned years ago. Why do you think you forgot what you learned the night before the test and remember what you learned years ago? It couldn't be that you didn't work hard to learn. No it isn't. The answer is in the way you learned. Crammed or typical learning (learning in a hurry and all at once) does not aid retention. But when learning is both spaced out and repeated, you remember more. 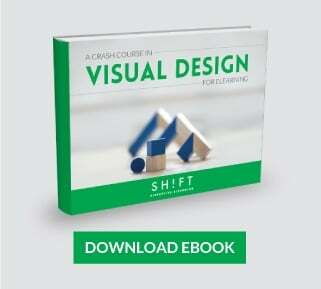 As an instructional designer, it is imperative that you know the difference between the two learning methods, so you can design courses that stick. The concept of the learning curve is well-known. It refers to the time period of learning something new. As instructional designers, we have to be careful and design courses where the learning curve is smooth and short. 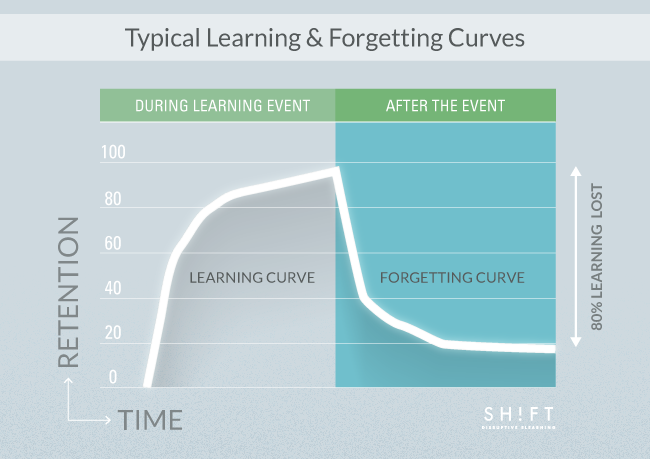 However, the forgetting curve tends to be ignored by most learning experts. Yet it is inevitable. It refers to the time period just after learning has taken place when we start to forget what we have learned. Hermann Ebbinghaus pointed to these two concepts way back in 1885, but they couldn't be more relevant today when you have to impart learning to your busy adult learners who will, in turn, apply the learning back at their workplaces. 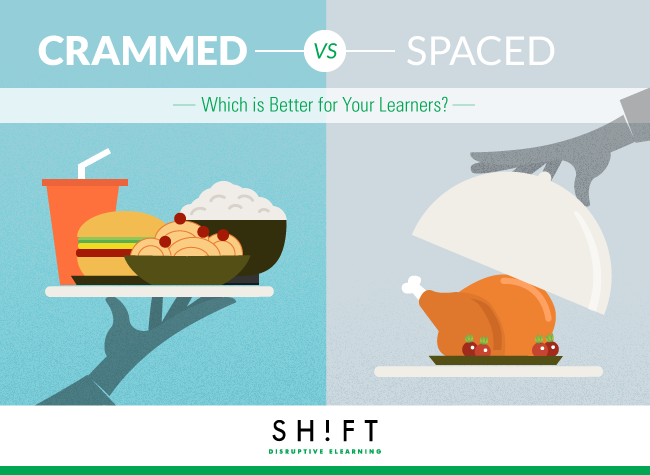 A comparison between typical crammed learning and spaced learning is made using the concepts of learning and forgetting curves. After countless crammed learning experiments, it has been found that we tend to forget almost 50-80 percent of all new information we have learned within a few days after the learning event has occurred. Learning researchers plot the rate of forgetting on a graph, and the forgetting curve of the typical crammed learning method shows up as a (scary) steep downward sloping curve. This is explained by the Theory of Disuse, which says that we forget because we simply do not review material after the learning event. In contrast, the forgetting curve plotted for the spaced learning method shows a rosier picture. According to the findings from experiments with spaced learning, subjects tend to retain and recall more and forget less of what they had learned when the learning is spaced across time and repeated during the teaching session. 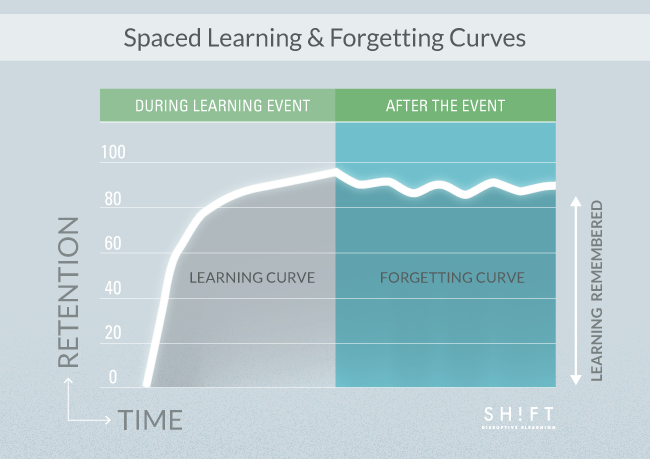 The forgetting curve has a gentler slope in this case, and as per statistics gleaned from over 800 experiments, learning using the spaced repetition method improves long-term retention by 200 percent. 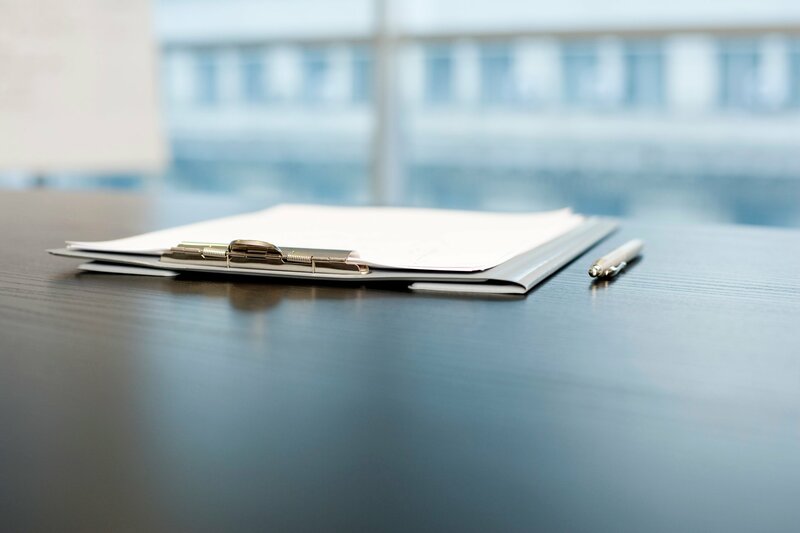 Other studies have demonstrated that information is remembered two to three times better if training is spaced in time rather than massed together. As you can see in the graph below, if we review information a few times over a period of time after the learning event, we are much more likely to remember it. Common sense and wisdom say that true learning is not achieved after a single session of teaching, however intense it might be. Learning experts have also explained why spaced learning produces better retention and recall rates than typical crammed learning. The brain needs time to absorb, process, and store the learning (consolidation) before it can learn another unit. This is why learning modules need to be spaced out. Countless studies have proven that repetition reinforces learning and aids retention and recall. So presenting recaps of learned information at specific intervals cements the learning in the minds of the learners. There is reconsolidation of learning. What is more, the recap sessions present more opportunities to the learners to fill the gaps in learning. Studies have also found that the efficacy of learning improves (there is more retention and less forgetting) when the spacing between the recap sessions increases. Do not cram your learning modules with sundry bits and pieces of unrelated content. Chunk smartly, and ensure that a module contains the same type of content presented in different ways. This ploy will also stimulate learner interest and keep them engaged. Space out the recap sessions over an extended period of time. Present a piece of learning content just before the forgetting stage. The gap should ideally be equal to the retention time, which is dependent on the complexity of the learning matter and the learners. The more the gap between the recap sessions, the more is the efficacy of the learning. However, a gap that is too wide defeats the purpose. During the gap, keep the learners engaged with activities unrelated to the learning matter. This is akin to providing them with a breather and giving the brain the opportunity to cement the learning. Schedule on-job training sessions, so these reinforce the learning already acquired. You are past the age when you used to cram before examinations solely to get a good grade and did not care whether you remembered the lessons long into the future. But your adult corporate learners have loftier goals. They have taken time out from their busy schedules to go through your course. It is your responsibility that you create a smooth, hassle-free, and memorable learning experience for them. We forget more easily than we remember.